Discussion in 'Maverick Nation' started by vividracing, Sep 11, 2018. 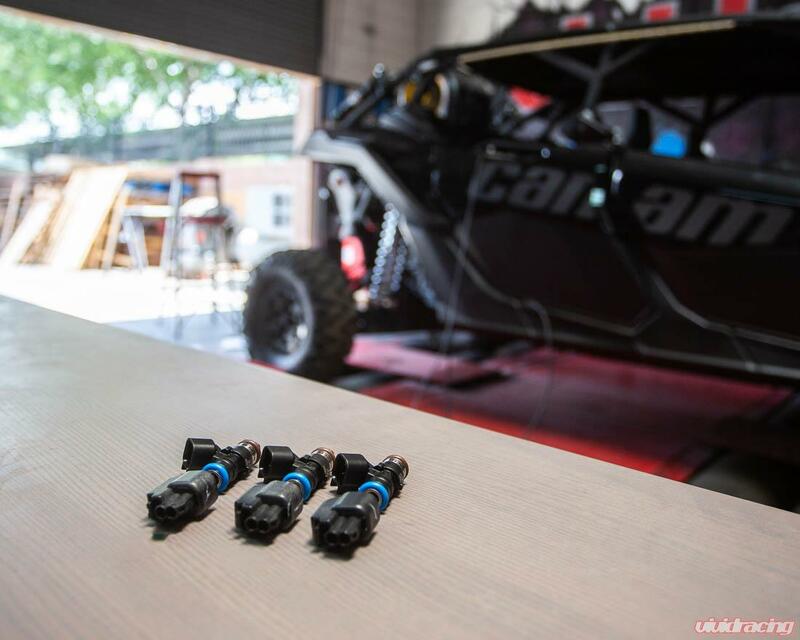 Vivid Racing can give your Can-Am Maverick X3 RS, DS, RC a HUGE boost in power by adding 50 wheel horsepower over stock! This is almost a 30% increase in power over the stock 172bhp. That is a major increase that is tuned to be safe, efficient, and mind blowing behind the wheel! 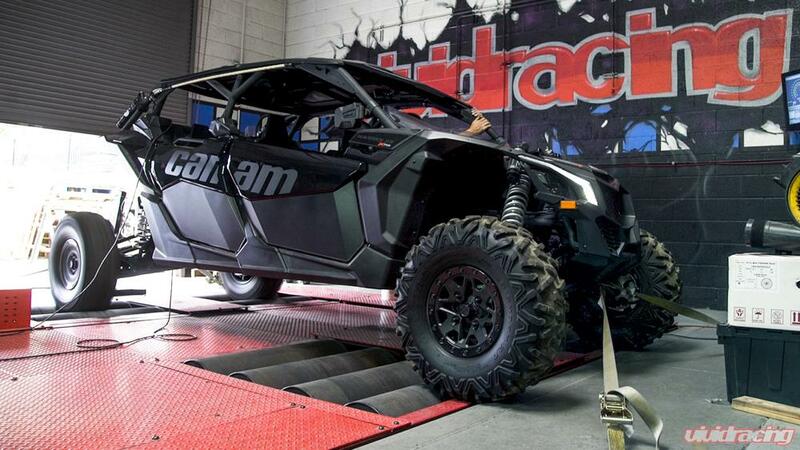 So how do we get here... First, the VR Tuned Can-Am X3 turbo tuning has proven itself to be very good with hundreds of Can-Am owners boosting around the world. 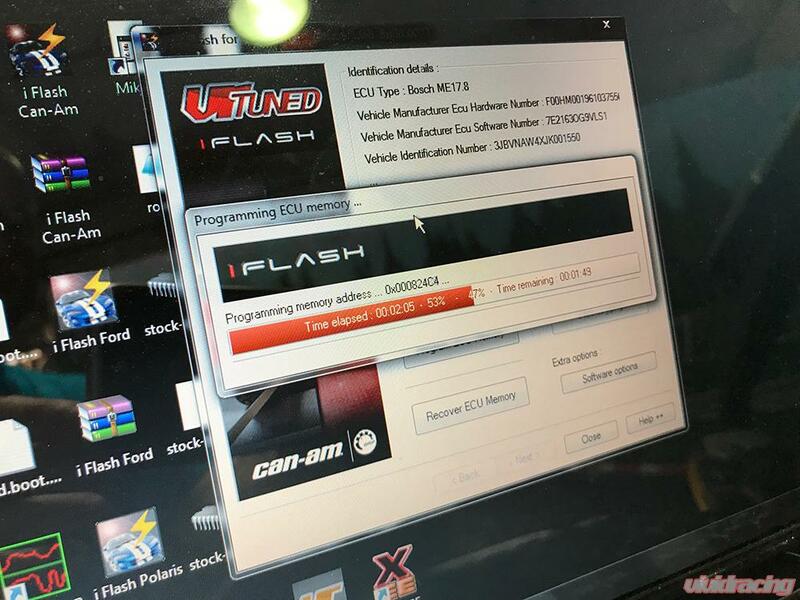 We have compared and tested against the competitors "stage 3" tuning to show that the standard 172HP to 195HP ECU flash is superior to those other claims. We wanted to further our bolt on power options and improve upon inefficiencies that are found in the stock Can-Am components. Now with a great base and some new supporting mods, we can proudly offer this incredible 235HP kit! The 235 horsepower kit requires improvements to the airflow, fuel delivery, boost requirement, and of course ECU tuning. To achieve the full 235HP or 181rwhp on our Mustang Dyno, we tested this vehicle using 100 octane. 100 octane is pretty standard race fuel that some love to run out in the desert and races. The higher the octane, the slower the fuel burns preventing dangerous knock and then providing good combustion. The first major modification required is a set of the Vivid Racing | Injector Dynamics 1050 injector set. These plug and play injectors provide the necessary fueling needed to take the horsepower to these levels. Simply put, the stock fuel injectors are not enough. To take advantage of the 19.5psi of boost we are running, this package needs our upgraded wastegate kit. The stock wastegate is not strong enough with just adjusting the wastegate rod. It will not deliver or hold this kind of boost. Once the boost is set in the ECU and requested, it is the wastegate's job to immediately deliver and hold that pressure. 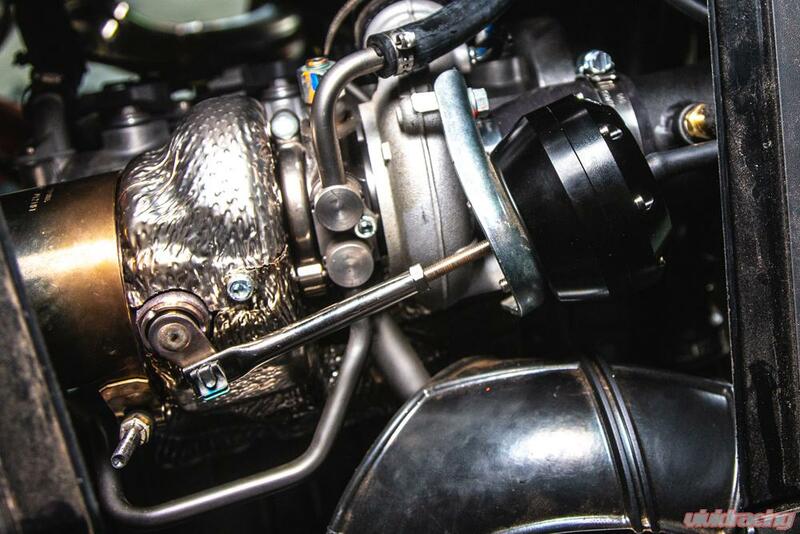 The Agency Power wastegate is designed to do this as explained here. You will want to set the wastegate with a mighty vac to 8-9psi crack pressure or do 2 full turns tighten from neutral. Another key component is the Agency Power intercooler. 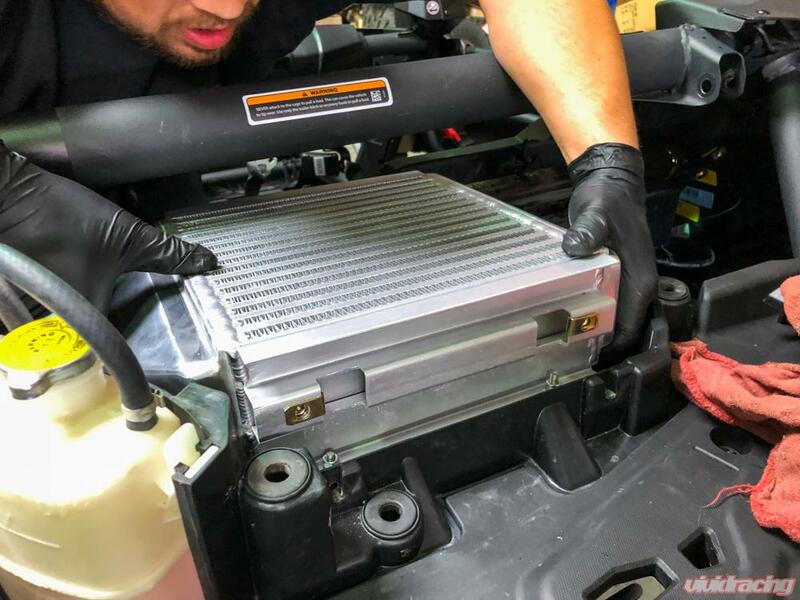 As seen on our intercooler testing article, the larger core helps keep charge air temperatures down and prevent potential knock the the stock intercooler can cause. Designed as a bolt-on and using the stock fan, it is an integral part of the package. 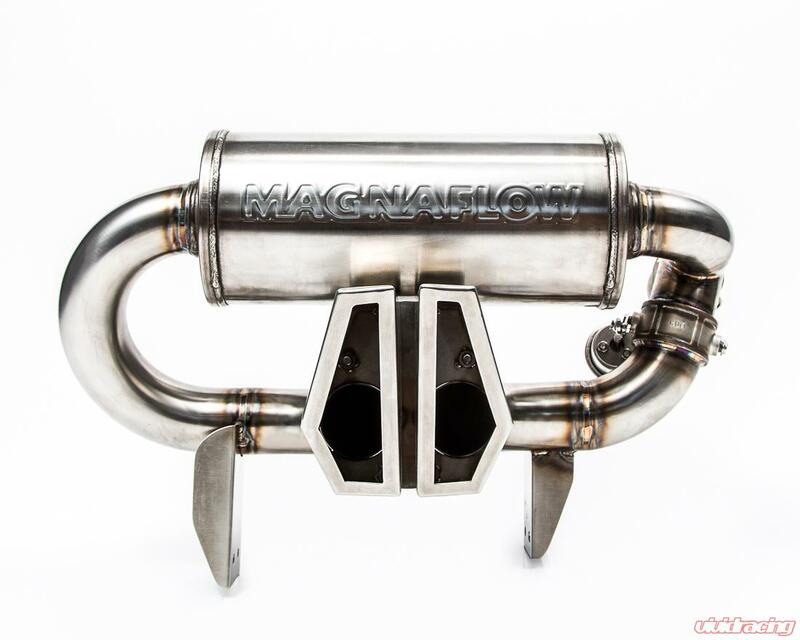 The Agency Power intake might look like a typical "air intake" but when it comes to this type of power, it is needed to help the turbocharger breathe every bit of air it requires. 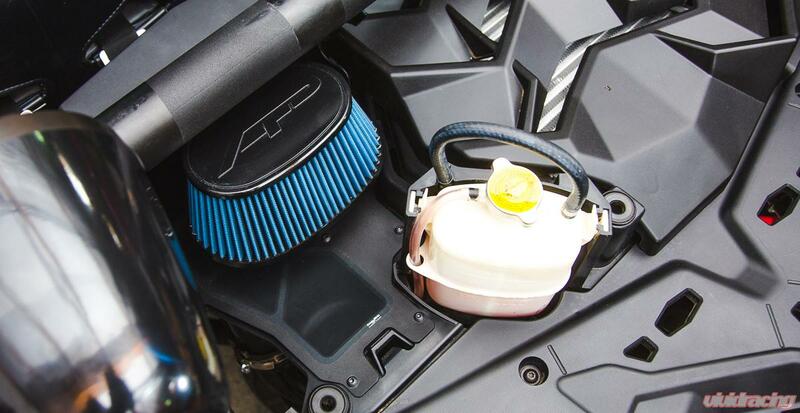 The increase in boost demands more air flow and the factory intake system just cannot deliver. In fact as we tested on the standard 195HP tune, the Agency Power intake added 8 horsepower because of it's flow characteristics. 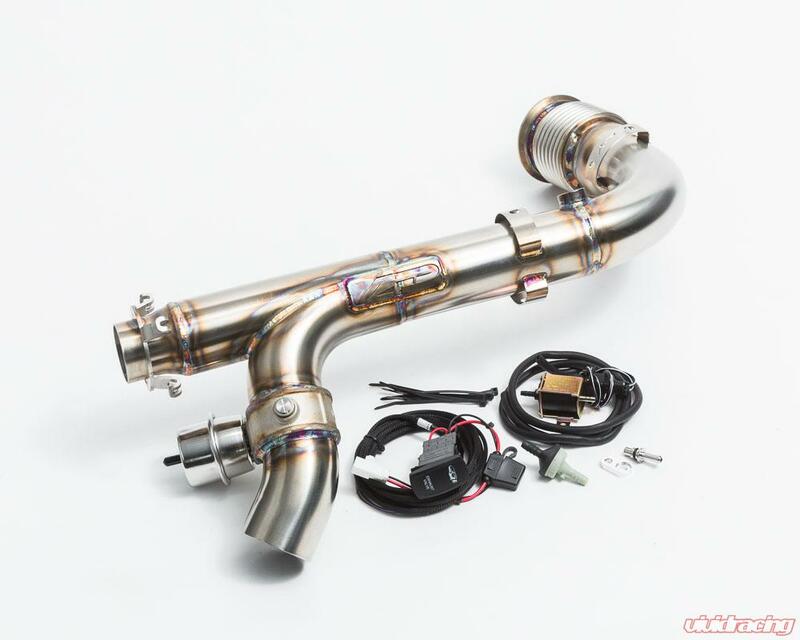 Another component that is extremely important but does not have to be brand specific is the catless race pipe and muffler. 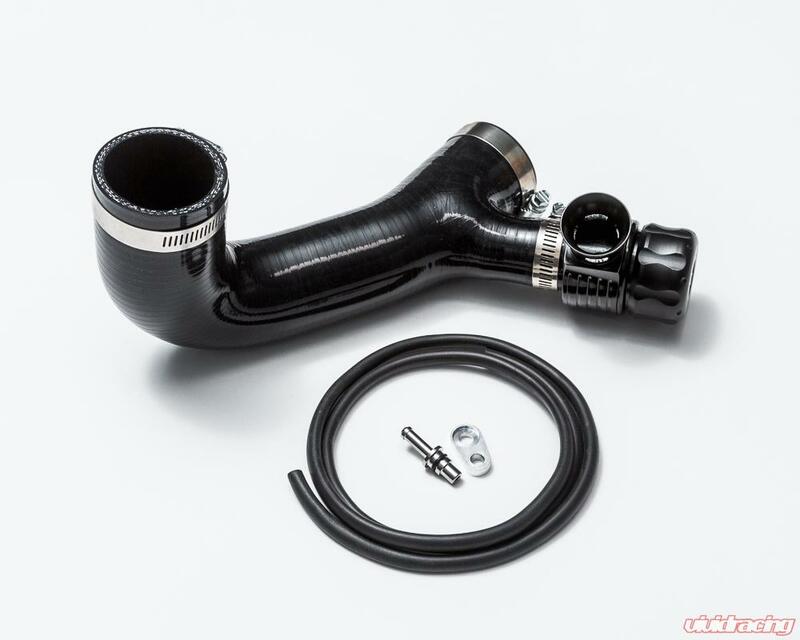 The simplicity of this part allows anyone to use a cat delete style pipe with or without the stock muffler. The less restriction you have coming out of the exhaust side of the turbo, the better. However this can result in some serious noise. 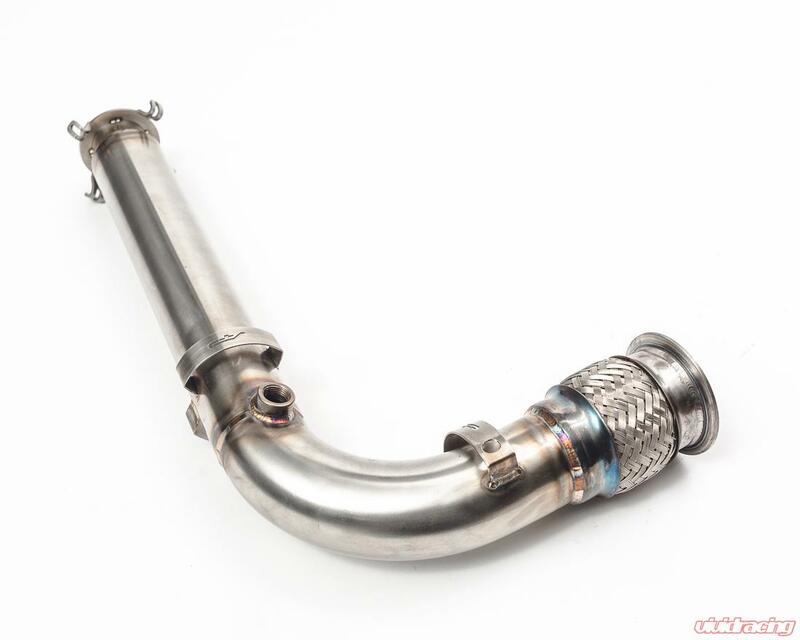 That is why we do recommend our Agency Power Valvetronic Dump pipe or Valvetronic Exhaust with Catless Race Pipe. These 2 exhaust options are switch operated to go from mild and quiet to blaring race loud when you want it! We also recommending running our Agency Power blow off valve and y-pipe. This allows the built up boost pressure to vent out from the pressure tube to eliminate any compressor surge or turbo failure. These are a very simple installation and recommended even for those with just basic bolt-ons and a tune. Lastly, none of this is possible with out proper tuning. VR Tuned has developed this ECU Tuning to provide safe AFR in the 12.0-12.3 range to deliver maximum power while keeping the stock knock sensors happy. Superior to what some call a "Stage 4WRI", the entire ECU tune and testing was done here at our Arizona facility on the Mustang Dyno. What is amazing about this package as it is all done on the stock engine and stock clutch. With a proper clutch tune, you can still gain another 5-10 horsepower. As you can see from the dyno chart, we have 3 options which are all included in this package. The 235hp requires all the above parts mentioned and using 100 octane fuel. We have a slightly tamer file that runs 18.5psi of boost with the stock intercooler and 100 octane. This file makes 177rwhp which is equivalent to 230hp. FInally we have a 91 octane pump gas file which uses the larger Agency Power intercooler making 17psi of boost producing 172rwhp which is equivalent to 225hp. Of course it is easy to flash between these files and use our diagnostic tool with the VR Tuned iFlash system seen here. Some additional testing with our PerformanceBox GPS data system shows very improved 0-60 times. PerformanceBox systems are used as the standard in testing for most high performance cars including that of DragTimes.com. 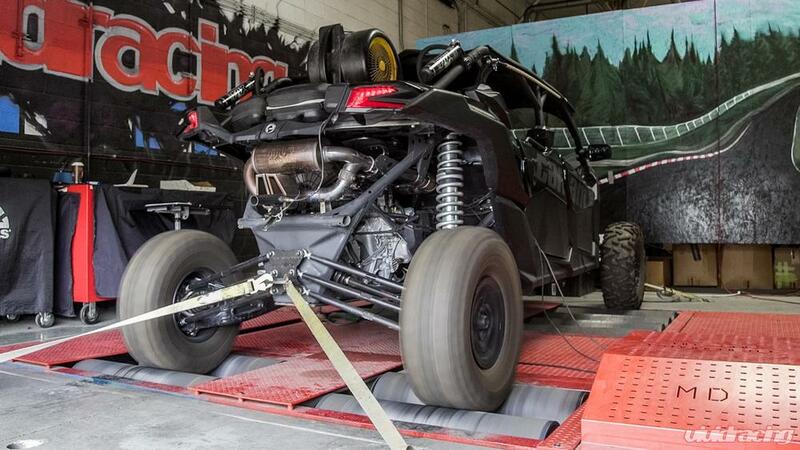 The stock Can-Am X3 did a 0-60mph on the big horn ties at 5.7 seconds. With the 235HP kit installed, we shaved off 1.2 seconds doing a 0-60mph run in just 4.5 seconds. This is almost as quick as a Ferrari F430 or Lamborghini Gallardo! If you want to run say 95 or 98 octane, you can then run an AEM water/meth system which will boost the points of fuel up to 100 octane. These systems are digitally controlled, however we recommend having an air fuel gauge installed in your vehicle to monitor if you choose to run less than the recommended fuel. Vivid Racing does not support or recommend E85 fuel. This upgrade also works for the 2017 X3 with the fuel pump and intercooler or fan upgrade. This also works for the 120HP X3 that has the 18-19 X3 RS fuel pump and intercooler upgrade. PlumberSteve76 and Piston Honda like this. Call me when you are ready to purchase.